Like thousands of other parents all over the world, your initial impression may be one of skepticism. 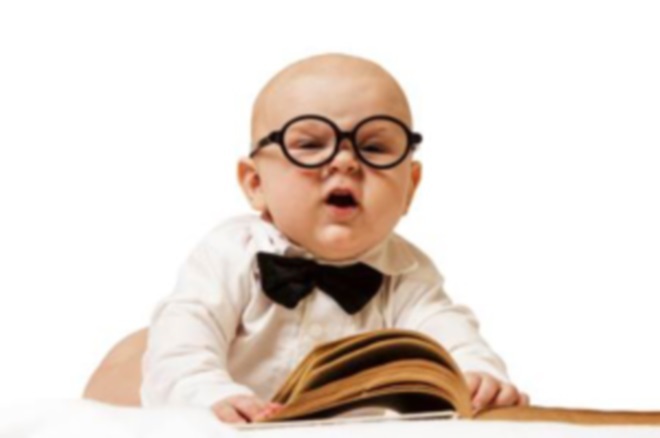 But what many don't realize is to teach their baby reading successfully is not only possible, it is highly likely - in fact, teaching your baby reading is much faster earlier in life than later, as her cognitive development is strongest in her first three years of life! one of the best ways to enable your child to begin learning independently, we encourage parents to start to teach reading at such a crucial stage in baby development. Giving your baby reading opportunities stimulates your child's brain, helping to develop the proper neural circuitry for reading. If you teach reading to your baby, you improve her chances in excelling later in life. Children whose parents decide to teach reading before they begin formal education are shown to have higher self-esteem and confidence levels than those whose parents did not encourage baby reading. Parents who teach reading early on also agree - children are also more likely to excel in their school activities and enjoy learning more, since as a baby reading had already been consolidated, equipping them with the right tools early in life. Studies also show that the opportunity to naturally teach reading to children begins to gradually decline around the age of four years, and acquiring these important skills becomes more difficult as the child grows, making learning a tiresome chore. This means that teaching your baby reading at age five is to deprive him or her of the opportunity to discover the game of reading at the age in which it is best experienced - while the baby is still very young, when the brain processes its first concepts. Not only will it be easier for you to teach reading during your child's early years, learning to read will also be more fun for your young one! If the idea of your baby reading seems far-fetched to you, check out the Baby Reading Videos page, where you can see Felicity reading at the age of 12 months. It is common knowledge that babies instinctively understand and learn to speak languages, so why not extend such rapid development to reading? Many experts suggest that if you teach reading to your baby, this also relieves the burden on him during his early school years, when he would otherwise have to learn both school subjects as well as literacy at the same time. Teaching your baby reading at an early age can not only mean better grades, but also make school more enjoyable for them too! The key is to keep it FUN! It is a common misconception that teaching a baby reading involves forcing your little one to endure lessons against her will, but in truth most - if not all - experts in the field of early childhood education repeatedly emphasize that if you teach reading to your little one, it should only take place in a loving and fun environment. Your baby's lessons should only be held when your child is receptive, and they should be stopped before your little one loses interest. If you are able to make learning exciting and enjoyable, you may find that your child will look forward to lesson times, and even seek to prolong them! Introducing reading to your baby using different stimuli keeps things interesting and engages the right brain, which is dominant during the early years of life. Doing something as simple as incorporating sounds, colors and actions along with their written counterparts, parents have been able to teach reading to children as young as 9 months, with successful recognition of dozens of words! As long your baby's reading sessions are fun, your little one can more easily grasp the fundamentals of reading, during the most receptive period of his life. Before you know it, your child will be able to read at a level far exceeding the requirements of his school years.